Tropical forests contain ~25% of Earth’s terrestrial biomass and exchange more carbon (C) and energy with the atmosphere than any other biome. As such, our poor understanding of how tropical forests will respond to projected increased temperatures severely constrains global predictions. Forests of all kinds help control greenhouse gases, particularly carbon dioxide, in the atmosphere because trees take in and store more CO2 than they put out. But unlike forests in temperate climates, where temperatures vary widely from season to season and trees have adapted to those changes, tropical forests grow in consistently warm climates. No one knows how or even if they can acclimate if those climates get hotter. We want to know how sensitive tropical forests are to warming, what physiological changes it will cause, particularly how it affects the trees’ ability to store CO2. If we tip them over a threshold where it’s too warm, they may not be able to take up as much CO2. They may even start giving off more CO2, which could lead to more warming. We want to know how sensitive tropical forests are to warming, what physiological changes it will cause, particularly how it affects the trees’ ability to store CO2. Our poor understanding of how tropical forests will respond to projected increased temperatures severely constrains global predictions. Tropical forests contain ~25% of Earth’s terrestrial biomass and exchange more carbon (C) and energy with the atmosphere than any other biome. As such, our poor understanding of how tropical forests will respond to projected increased temperatures severely constrains global predictions. 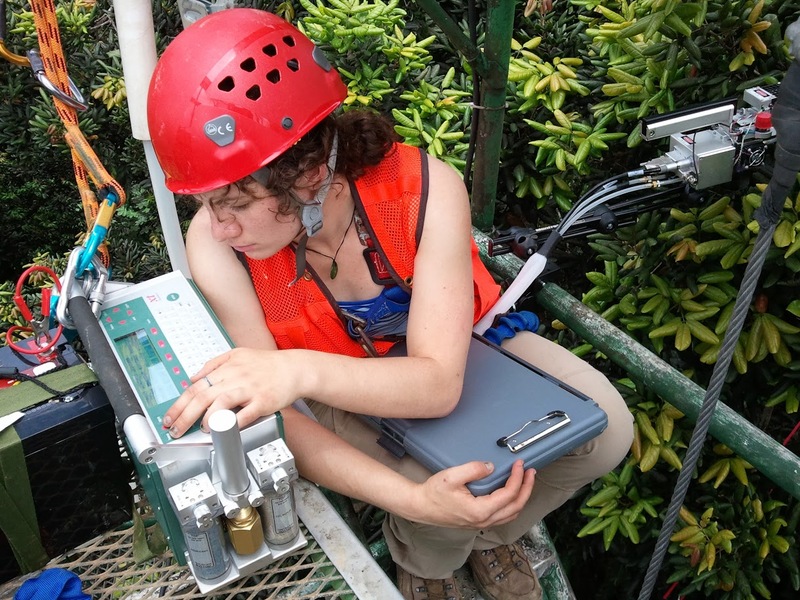 To meet the increasing need for improved understanding of tropical forest responses to global warming we are implementing field warming experiments in a wet tropical forest in Puerto Rico to evaluate temperature responses of the most influential and biogeochemically-active tissues and organisms: leaves, fine roots, and soil microbes. Specifically, we will be warming understory vegetation and soils with an array of Infra-red heaters along with complimentary warming of individual canopy leaves and branches. Our concentration on both above- and belowground components of the forest will provide an integrated understanding of C storage and flux, which is critical to considerations of how climate effects on tropical forests will feed back to affect future C cycling and climate at the global-scale (Heimann and Reichstein 2008). Assess the mechanisms behind and effects of warming on C and nutrient cycling and storage in tropical forest soils. 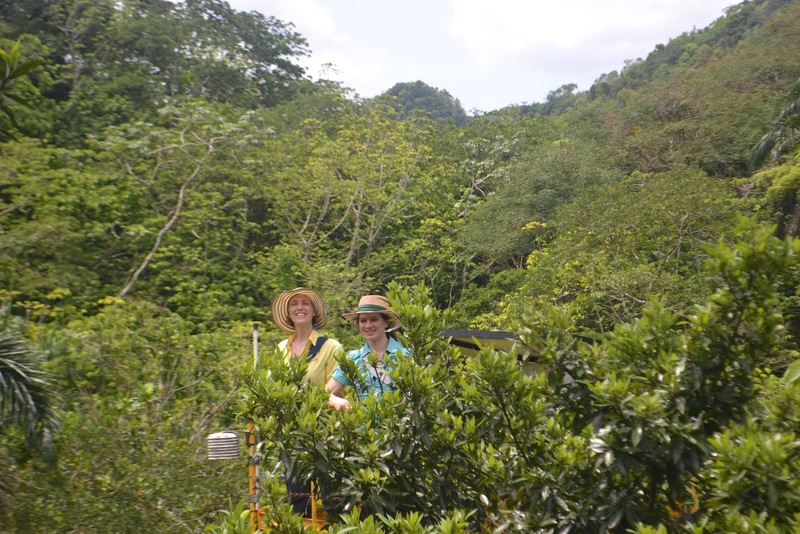 Investigate threshold temperature responses of both canopy and understory tropical tree foliage. 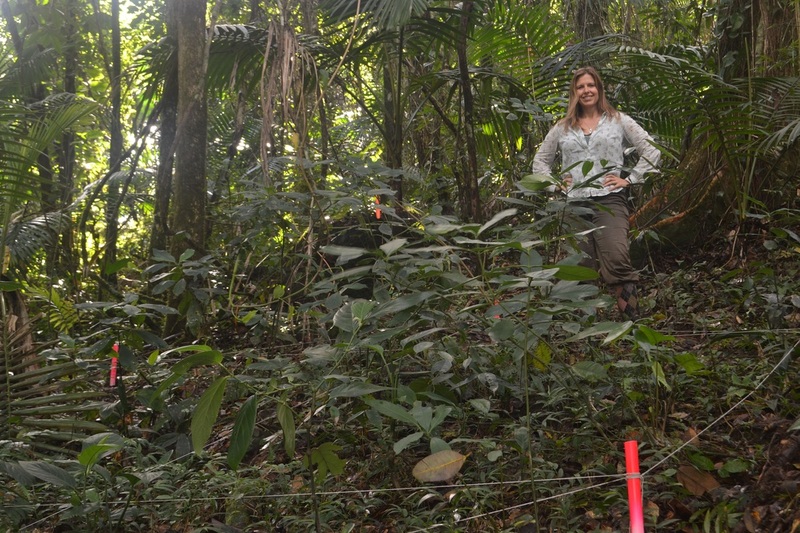 This is the first field experiment of its kind ever done in a tropical forest. We will be manipulating the environment, warming the leaves and branches of the canopy as well as the smaller plants on the forest floor. 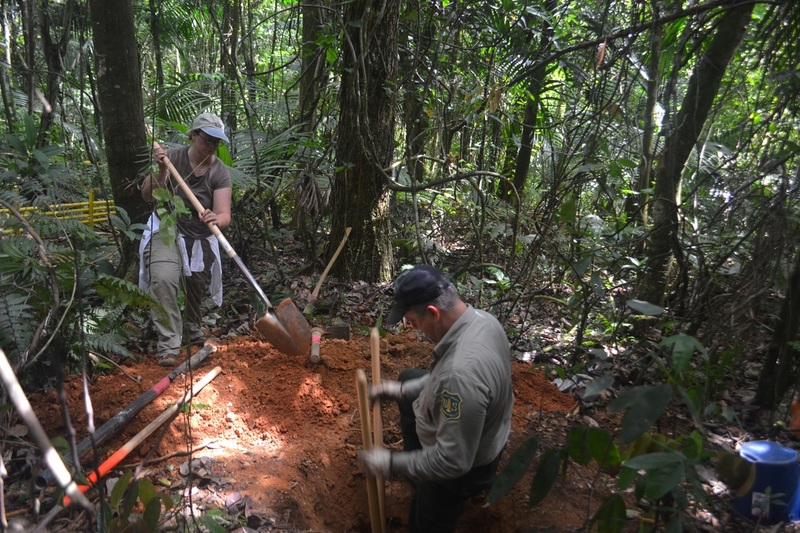 Once we have warmed the trees and measured the changes, we plan to use the data to help develop better predictive models of the effects of climate change on tropical forest. 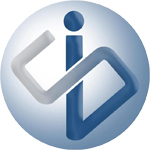 This data will help us understand what is happening globally and what is likely to happen in the future. Hi! My name is Molly Cavaleri and I am an Assistant Professor in the School of Forest Resources and Environmental Science at Michigan Technological University. 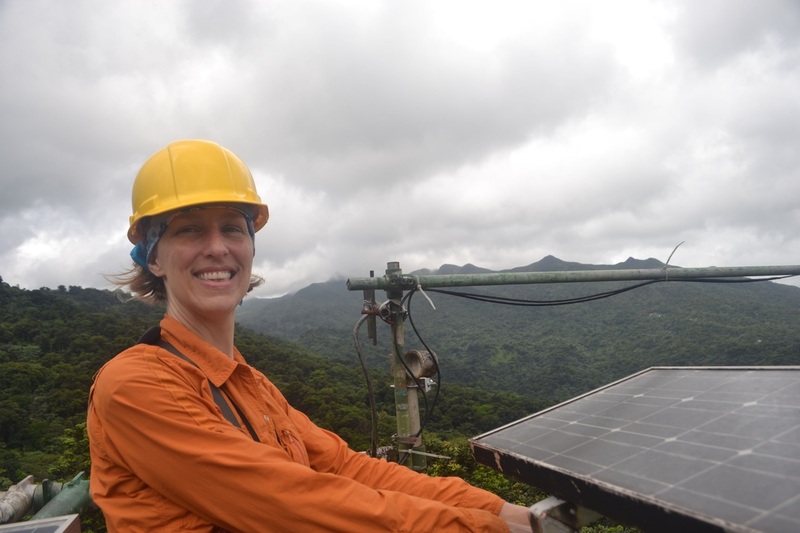 Some of my areas of expertise include: forest canopy structure, forest response to global change, carbon and water cycling through forests, tree ecophysiology, stable isotope ecology and invasive tree species. I am a scientist with the U.S. Geological Survey and a member of the Southwest Biological Science Center. My research interests are centered within the fields of biogeochemistry and ecosystem ecology. Currently, I study terrestrial ecosystems in Utah, Arizona, New Mexico, California, Colorado, Hawai’i, Puerto Rico, Bolivia, Perú, and Costa Rica. While my study sites and the methods I use are diverse, with each of my projects I strive to determine the dynamic controls over fundamental ecosystem processes with the ultimate goal of providing information to help maintain the desirable features of Earth’s ecosystems in a world that is rapidly changing. Thank you! 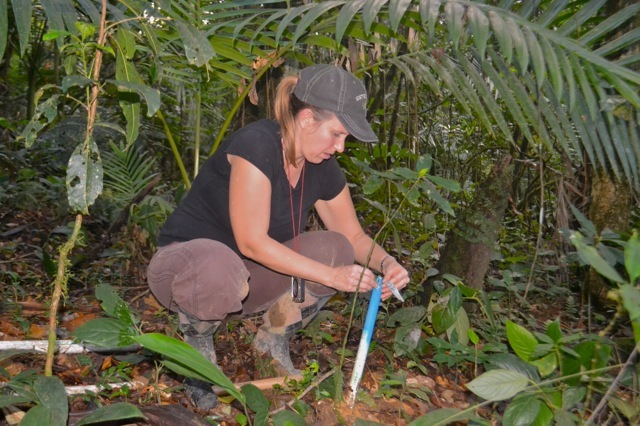 Help us determine how sensitive tropical forests are to warming!